What’s in it for you?! A $50 prize package to one lucky winner! Start by leaving a comment on this post. Then, head on over to the Imaginisce blog and leave a comment. Don’t forget to visit all of the design team members who also played along with the sketch challenge; make sure to leave them love on their blogs as well. …and while organizing my galleries and what not, I found a layout that I never got to share. I LOVE the colors to this one. My computer is acting all funny and I can’t see the first images. I’ll restart my computer and hopefully come back and see them! Same here and I have restarted and I only see your layout. Which I love btw! I am having same problem… cant see the sketch and your LO to go with it however your last LO is awesome!!!! I can’t see the 1st two images either. Can’t view them either but I love the bottom one – so colorful and happy! Have a great week! Beautiful layouts. I love both of them. thanks for sharing. What a sweet LO. Love the colors…they just pop! So cute! Those little butterflies are just adorable! Very cute layout for the sketch challenge!! I love seeing all the different ways a sketch can be done! So many pretty styles and techniques! Let it be!!!!! I’m going to try. Great layout! I love your photo too! AWESOME SKETCH! Im so loving your take on it! P.S Congrats on the gdt for Nikki! It’s so cute. I love the picture and the colors are perfect. I love that you used just one pictures. I get too worried about following sketches exactly. Very cute!! Hooray for sketches! THey’re my favorite thing right now 🙂 Love your pretty layouts!!! I’m really starting to like the Lucy Bird line….I forsee a shopping trip in my future!! Luv your take on the sketch. TFS! Great layouts! I really love your take on Julie’s sketch. 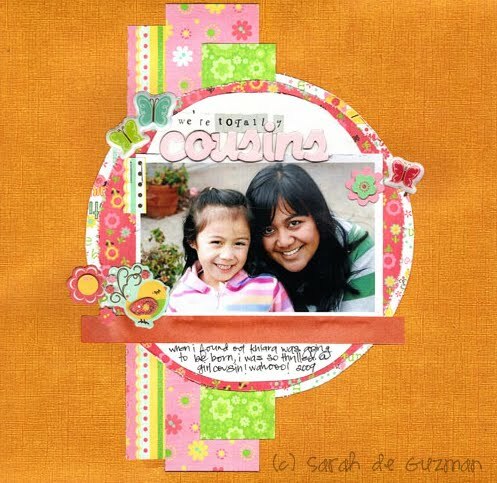 Very cute layouts! I like how you used two pattern papers for the circle and I love the white scallop in the pattern running down the side. Such a cute layout! TFS! I love that they are doing monthly sketch challenges! The birdie is precious on your LO and I love your interpretation of it! Thanks for sharing! Your layout is beautiful as is the precious picture. Pretty! Pink and orange–my fave color combo. What a sweet picture! Love your LO- I am enjoying seeing allof the different takes on this sketch! So excited about the Imaginisce sketch challenge!! Great job on yours! your layouts are too cute! Love the colors in the sketch one. Wow! So glad you fixed the pics…LOVE your LOs…as usual! Love the pp and butterfly and other embellies used!! Beautiful, vibrant colors… Love the pop of color! I can’t get over how cute that bird is!! Very nice! So bright and cheery! Cute layout. Love the colors. Sooo cute! Love your page! such a cutie lo! lovin’ this hop!! Your layout is very sweet! So cute! Love that line from Imaginisce! Love the LO!! So fun! Hi Sara…great layout! i loved this sketch! Love the colors you used in the layout. So fun. 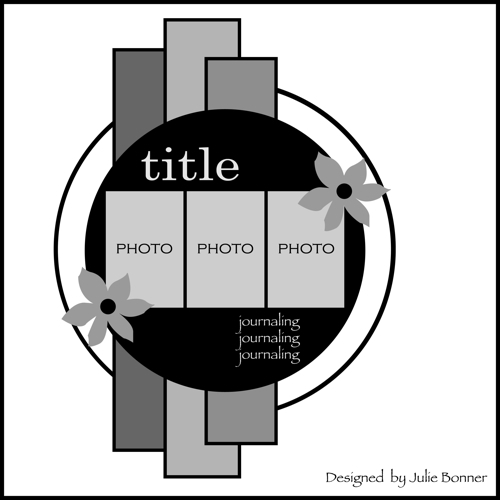 love your layout, can’t wait to try the sketch myself – as soon as I’m done the blog hop! Great Layout! Love Imaginise!!! Love, Lori C.
Hi Sarah. Your page is soooooooo adorable! Love the orange background. I just got my package today for winning one of the last contests U had.. I love all this beautiful paper-and sweet glitter hearts. I cant wait to make something soon with it all! thanks so much!!! Happy Scrappin!! Love the sketch and your take on it is fabulous! Love the sketch, and the colors you used on it! Love your layout. So cute. Love the soft colors, flower and butterflies. Thanks for sharing. awesome sketch… i’m gonna have to for sure use that for a lo!! LOVE your lo’s… your work is always awesome!!! I’m loving the sketch and totally LOVE your take on it. The colors and design are just fabulous. Beautiful! Love your take on the sketch and the vibrant colors you’ve mixed together! Great sketch interpretation! I love the bold colors you chose to accent your photo. ah, there I can see the images now. I came by yesterday to visit and couldn’t see the top 2 images. Now I can! 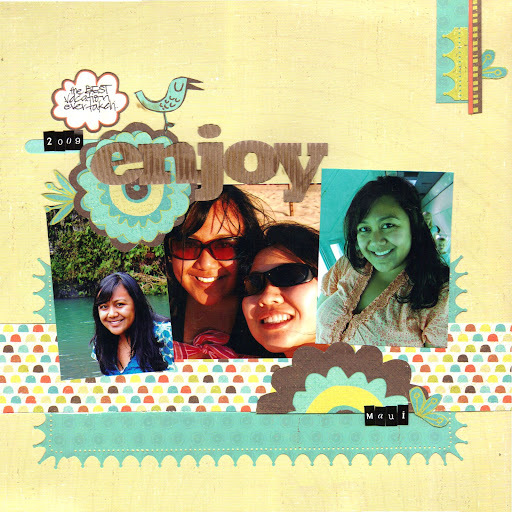 Love your take on the sketch… the orange background makes the whole layout pop! Awesome! Your style is awesome!! I love your layouts and the choices of colors you used, so pretty and fun!! Love this LO and the sketch! You do amazing work! This sketch is great! I have saved it in my “archives” so that I can try it sometime. I have the perfect photos in mind… 🙂 Your layout is gorgeous sarah! Love those papers! Gorgeous work as always! Wouuuu I loved your version, the colors is awesome and nice pic! Thanks for sharing, hugs from México! Great layout~! Thanks for the chance to win. Love the bright cheery colors!! Beautiful! I love how colorful this layout is! Cool! I’m gonna have to try this!